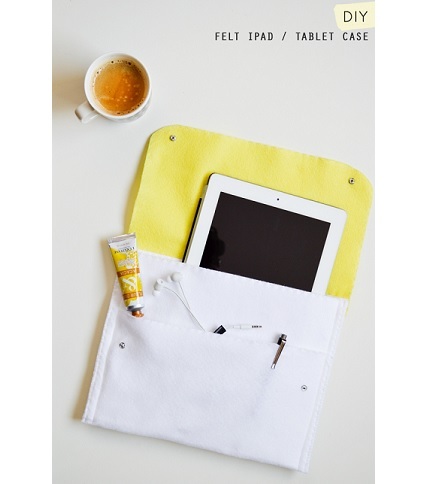 Alice at Whiskateers shows how to make a simple felt case for an iPad or tablet. It has a front pocket to hold cords or pencils or other small items, and a contrast flap with snap closures. Felt makes the construction simple because the edges won’t fray. You could also make this from a faux leather, because the edges on that material don’t fray either. Go to Whiskateers for the tutorial.